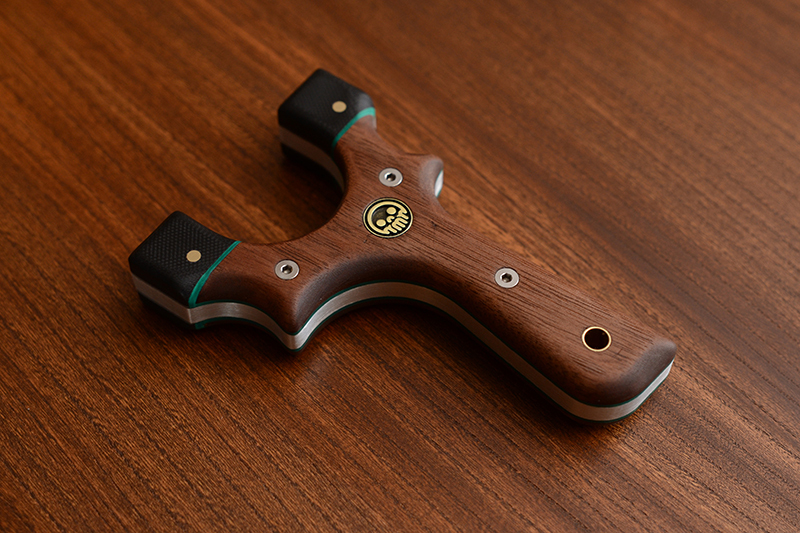 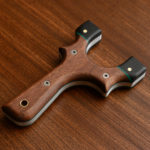 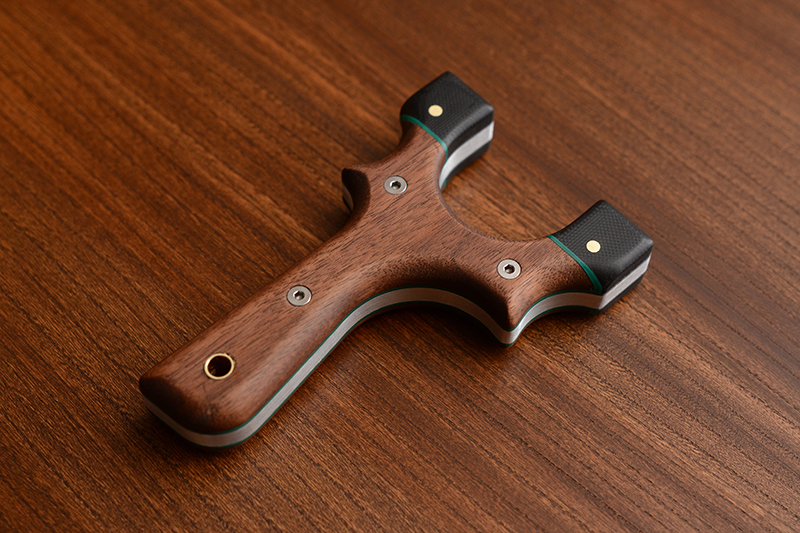 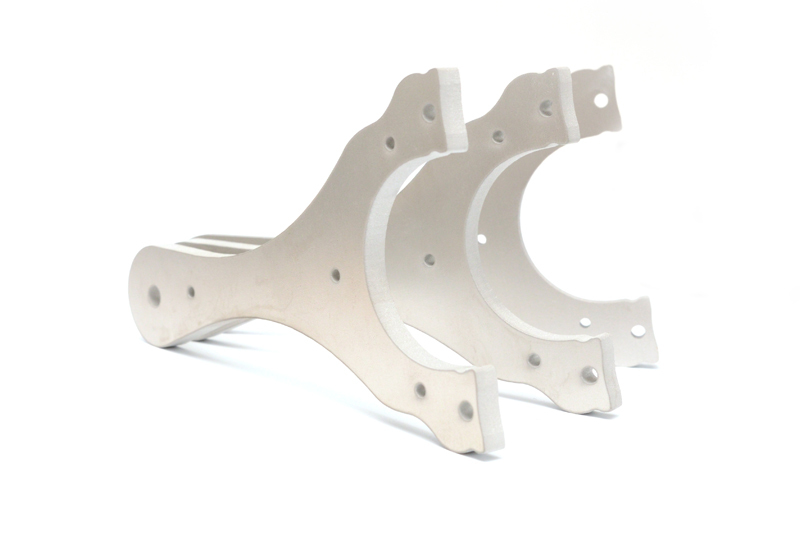 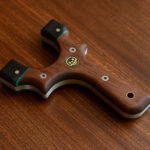 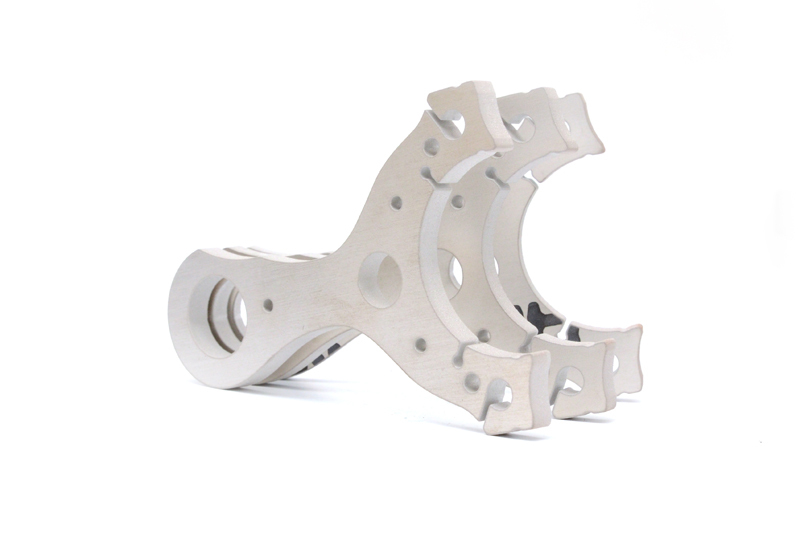 This simple, balanced and compact slingshot is one of our favourite designs. 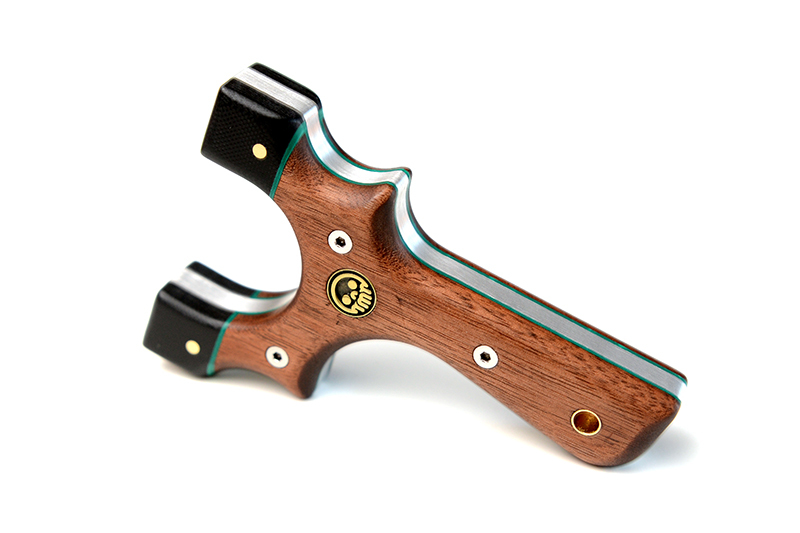 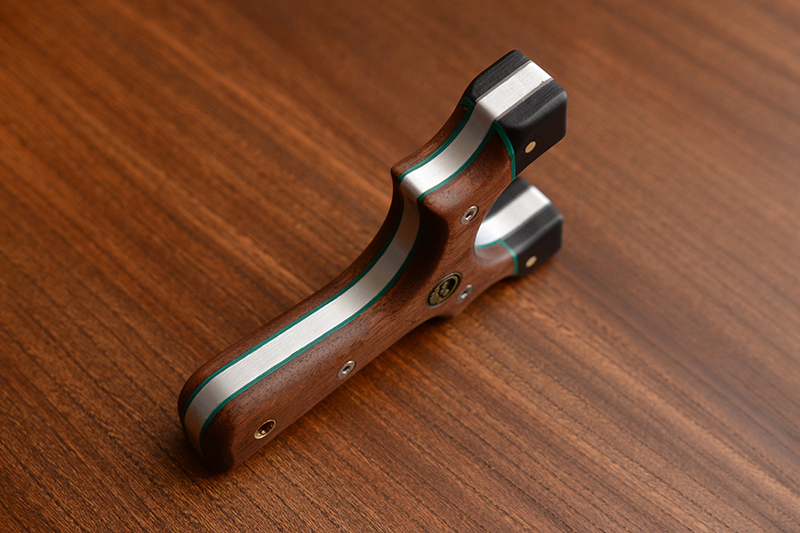 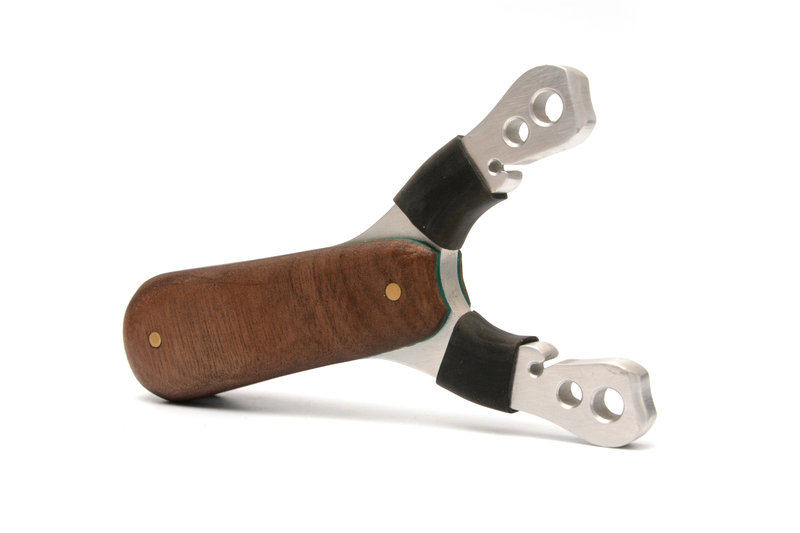 With an offset handle, the Tyton can be shot upright, sideways, pinch grip and thumb brace. 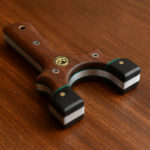 The size is not too small, and not too large. 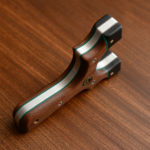 The Mint Cocoa Tyton is crafted with an 6061 aluminum core, lined with green vulcanized paper liner, and scaled with black walnut and black G10 composite tips. 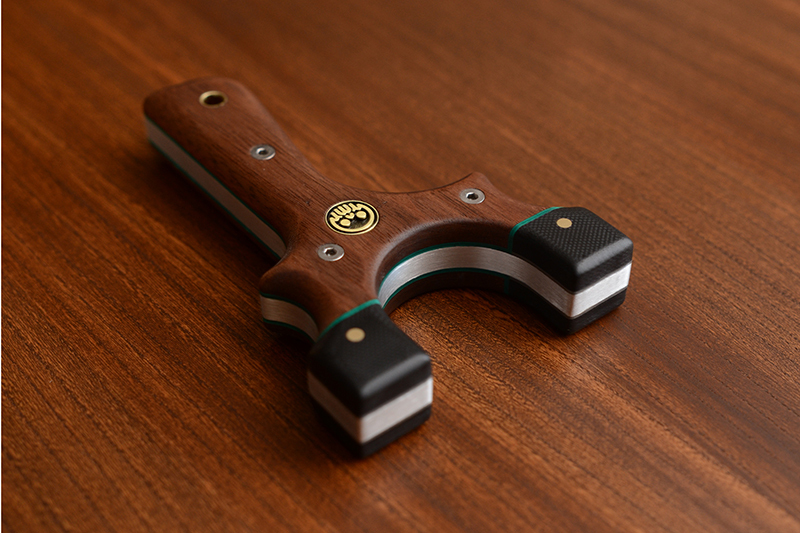 Held down with stainless steel screws, brass lined lanyard hole and peened over brass pins, the Mint Cocoa Tyton is built to last. 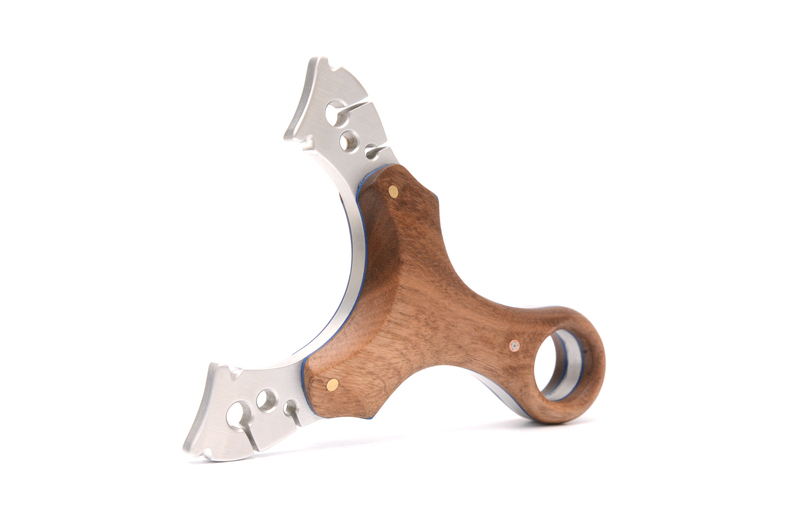 With 3/4″ wide tips, the Tyton is an OTT style slingshot with a clean sight picture.